Tickets to see How to Dress Well and Forest Swords at Lincoln Hall go on sale this Friday (1/24) at noon CST. Tickets to see Weekend at the Empty Bottle are on sale now. Tickets to see Tycho at Concord Music Hall go on sale this Friday at noon. 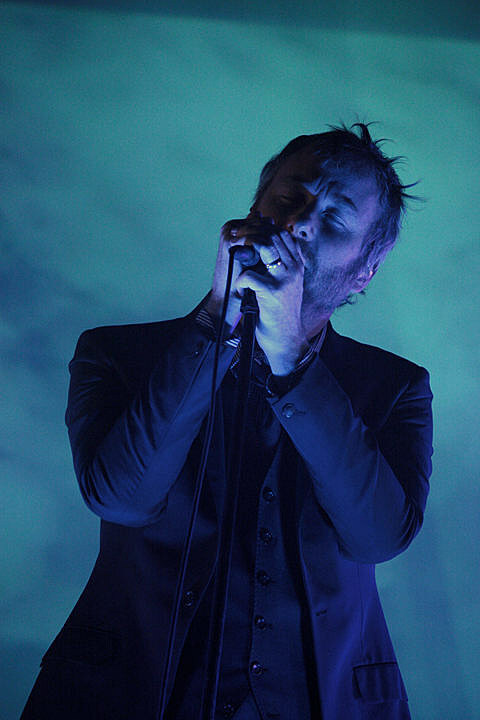 Tickets to see The National and Daughter at The Chicago Theatre go on sale this Friday at 10AM. JAM Productions and venue presales will be active from 10AM to 10PM today (1/23); the passwords are trouble and NATIONAL, respectively. Tickets to see Tokyo Police Club at Lincoln Hall go on sale this Friday at noon. Tickets to see Ringworm and Death Before Dishonor at Cobra Lounge are on sale now. Tickets to see S.Carey and White Hinterland at Lincoln Hall go on sale this Friday at noon. Tickets to see Waxahatchee and All Dogs at the Empty Bottle are on sale now. Tickets to see Wye Oak at Metro go on sale this Friday at noon CST. Tickets to see Baths and Young Fathers at Concord Music Hall go on sale this Friday at noon. Tickets to see Manchester Orchestra at the House of Blues go on sale this Friday at 10AM. Tickets to see Foals at the Aragon Ballroom go on sale this Friday at 10AM. A JAM presale will be active from 10AM to 10PM today; the password is number. Tickets to see Billy Joel at Wrigley Field go on sale this Saturday (1/25) at 10AM.